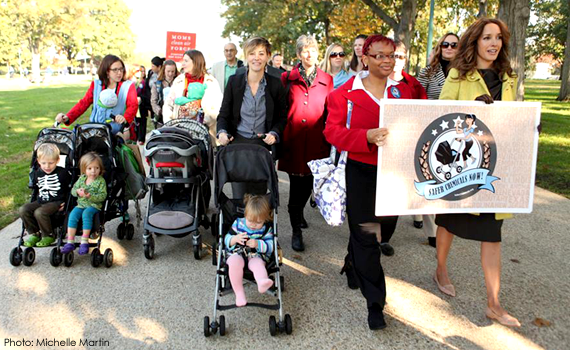 We Made Our Voices Heard for Safer Chemicals...Are YOU With Us? I am totally exhausted from my trip to DC to demand safer chemicals. Exhaustion is good...it means you gave your all. I joined over 200 other moms, dads, nurses, doctors, business owners and concerned citizens who convened on the Capitol and I know they are exhausted too. We flew in from all over the United States to ensure that current legislation to replace the outdated Toxic Substances Control Act (TCSA) laws written 37 years ago for safer chemicals is written in a meaningful way that will protect us all...and we need YOU too! Can I Shake Your Hand Senator Nelson? My trip started with a bang as I noticed Senator Nelson was on the plane with me sitting in first class. As I walked through the first class cabin, I leaned across the man in the aisle seat and held out my hand as I introduced myself, told him I would be lobbying his office tomorrow for Safer Chemicals and thanked him for his support. He was gracious, albeit surprised, as he put down his paper and said that he was happy to lend his support. I also me with Senator Rubio's staff as well as Representative Castor and they were all on board with the new legislation. We just have some more work to do to insure that the problems in the bill are fixed in order to insure a law that is not even worse than the current TCSA law. Protect pregnant women, children and vulnerable communities. Remove the red tape on EPA that prevents them from regulating notoriously bad actor chemicals. Allow states to pass their own laws on toxic chemicals. As currently written, the new bill does NOT meet these four criteria. But don't worry, we will work to make sure that it will...but we need your help. For an outstanding recap of the event, more pictures, videos and links to how you can take action, please check out SCHF Deputy Director, Lindsay Dahl's, post HERE.